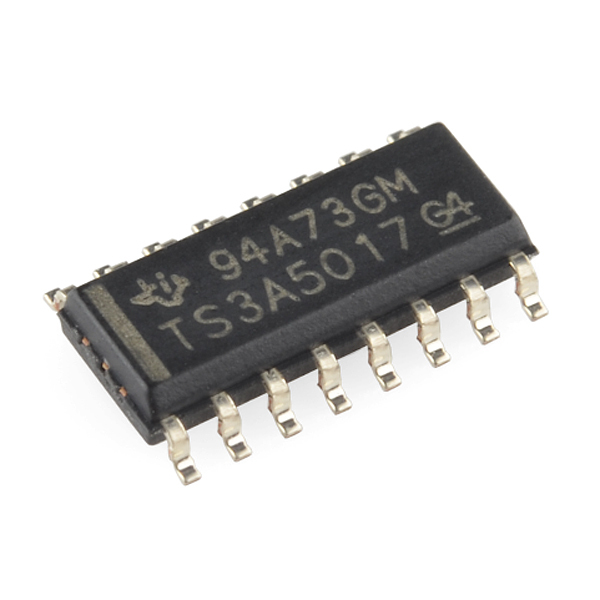 The TS3A5017 IC from Texas Instruments is a dual single-pole four-throw (4:1) analog switch. 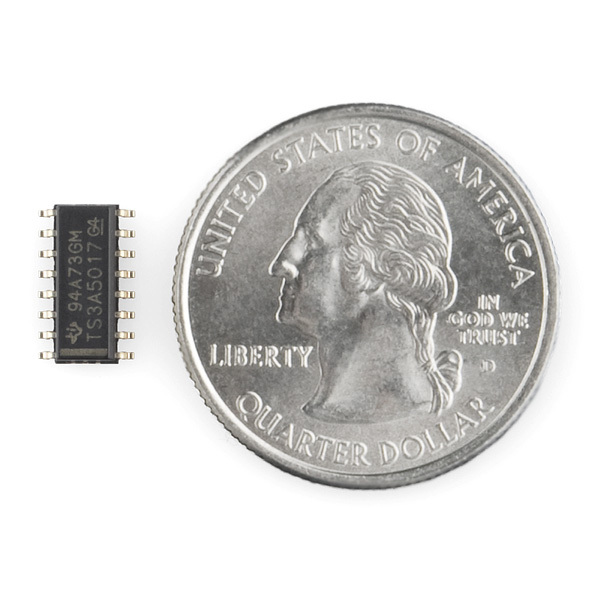 It is capable of switching both digital and analog signals up to 3.6V in either direction. The ability to handle analog signals makes this a great tool for audio and video signal routing as well as communication circuits. It's also a handy way to read multiple analog sensors from a single ADC pin on your microcontroller. Hey guys! If you decided to make a breakout board for this chip could you isolate the signal lines on the PCB from the rest of the traces? The capacitance from signal to gnd on your other breakout MUX was too high for me to use and I think its because the signal and gnd traces are adjacent to each other throughout the board. Otherwise keep up the good work! !